Carole Artigiana is an alumna of the women’s history graduate program at Sarah Lawrence college, where she also served as program administrator. She is the founder and president emerita of Global Kids, an organization dedicated to the success of urban youth. She is the 2006 and 2007 Purpose Prize Fellow and recipient of the Spirit of Anne Frank Award. Melanie Gustafson earned her PhD from New York University and is an alumna of the women’s history graduate program at Sarah Lawrence College. She is currently an associate professor of history at the University of Vermont, where she also teaches courses in women’s and gender studies. She is the author of ecoming a Historian: A Survival Manual for Women and Men and a co-editor of We Have Come to Stay: American Women and Political Parties, 1880-1960. Phyllis Vine earned her PhD in history at the University of Michigan. She has taught Union College, Bard College, and Sarah Lawrence College. She is most recently the author of One Man’s Castle: Clarence Darrow in Defense of the American Dream and has also written Families in Pain and Household and Kin. Registration in Heimbold Lobby — Pick up your conference materials and mingle with other passionate women’s historians! 6:00 p.m. HEIMBOLD AUDITORIUM: THE MAIN EVENT! Alice Kessler-Harris, distinguished professor of history and keynote speaker at the conference’s opening event on Friday March 1st at 6 PM. Alice Kessler-Harris earned her PhD from Rutgers in 1968. 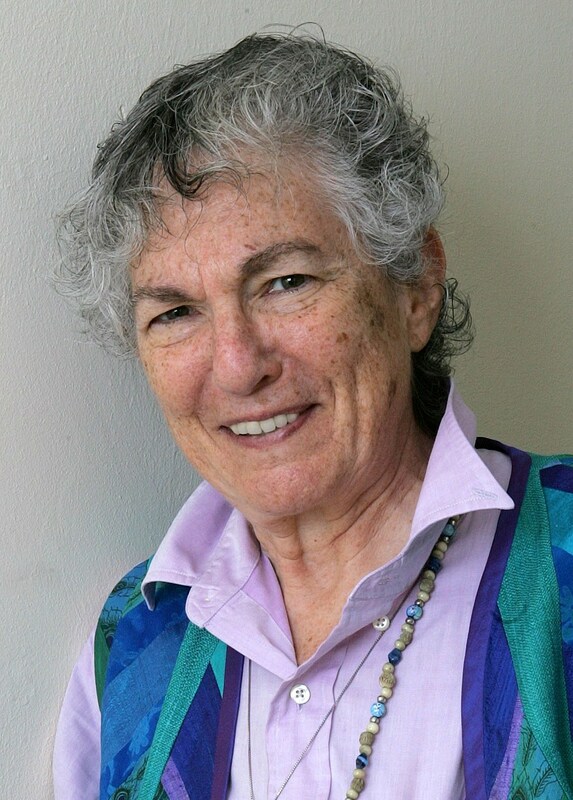 She is the author of numerous women’s labor histories including Out to Work: A History of Wage-Earning Women in the United States (1982) and Women Have Always Worked: A Historical Overview (1981). She is a pioneer in her field and a beloved professor; she currently teaches at Columbia University and is the R. Gordon Hoxie professor of American History there. She has recently published a book called A Difficult Woman: The Challenging Life and Times of Lillian Hellman. We are so privileged and honored to host her at our Women’s History conference in honor of Amy Swerdlow and Gerda Lerner, two close colleagues and friends of Dr. Kessler-Harris’. We look forward to seeing you there for this inspiring opening program! Drawing from a larger study reconsidering the organizational history of Women Strike for Peace (WSP), this paper highlights the integral role that particularly its local branch in Ann Arbor, Michigan, played in launching the national, grassroots movement protesting US involvement in the Vietnam War. Too often, scholars understand the New Left in generational, rather than political, terms, depicting the New Left as synonymous with the student movement and especially the Students for a Democratic Society (SDS). In this paper, I consider the connected roots, principles, and tactics of WSP and SDS. Nurturing SDS’s positions and practice, WSP members organized the first Vietnam teach-in at the University of Michigan, signaling their role as key mentors and cross-generational collaborators at the inception of the anti-war movement. As part of a full-scale political biography of Bella Abzug, this paper broadens understanding of the effectiveness of the “demonstration/lobbying format” characteristic of Women Strike for Peace (WSP). In the influential Women Strike for Peace (1993), activist-historian Amy Swerdlow correctly credited Abzug with developing this effective strategy in her capacity as WSP’s self-appointed legislative director. Yet, Swerdlow does not fully explore Abzug’s usage of WSP to reshape Democratic Party politics through challenge of the Cold War liberal establishment. …It is essential to place Abzug and WSP at the juncture of the New Left and Democratic Party politics. This paper examines the early phase of Jane Fonda’s antiwar activism during the Vietnam War. It challenges the widely held view that Fonda’s major contribution to the antiwar movement was her controversial trip to Hanoi by exploring Fonda’s earlier antiwar activism, including her support for existing antiwar groups and individuals. Between 1969 and 1972, Fonda delivered speeches at antiwar rallies and college campuses, visited GI coffeehouses where she spoke to GIs and veterans, and joined forces with Vietnam Veterans Against the War (VVAW). … This paper is not only concerned with the nature of Fonda’s early antiwar work, but also the role of celebrity in her activism and the impact of gender-bias on media coverage of her activities. This paper analyzes the experiences of African American, Chicana, and Asian American women who traveled to North Viet Nam to meet with Vietnamese women during the Viet Nam War. It finds that although US women turned to Vietnamese women for fellowship and inspiration, they viewed Vietnamese women in a variety of ways–as fellow revolutionaries, as gendered victims of violence, and as collaborators against imperialism. This paper explores the ways in which US women of color interpreted gender, race, peace, and revolution and how their activism within their respective communities’ struggles for equality shaped their views of the war and of antiwar protests. This panel will be moderated by Dr. Rona Holub, chair of the women’s history department at Sarah Lawrence College. does the Newark Tenant Movement add to Newark’s Black Liberation historiography? And, importantly, what could be learned of poor women’s activism from the strike. education and high school English. This paper examines South African women’s experiences of resistance under the apartheid regime. In South Africa, the struggle between the oppressive white minority government and the black majority often took the form of spatial negotiation. Apartheid in South Africa was most strongly characterized by a desire of the white minority government to control, legislate, and monitor black people’s location in space. Evident in legislation, policing and prosecution records is the desire to control and supervise black women’s movement. In response, their resistance appropriately takes the form of purposeful movement. Women refused to carry passes as they moved in and out of cities illegally. Domestic servants decorated their back rooms and broke rules to shelter relatives and friends, excerpting control over their immediate environment. In the most extreme instances, women escaped prison and chose to live in exile to continue revolutionary work. In all of these ways and many more, women moved purposefully in and around their daily spaces and even across and out of the country despite the government’s concerted efforts to confine them. Catherine Newton received her B.A. in Philosophy from Kalamazoo College in 2009, and it currently working towards her M.A. in women’s history from Sarah Lawrence College. In the summer of 2010 she worked for RADDHO, the African Assembly for the Defense of Human Rights, where she worked directly with abused Senegalese women. first- and second-generation Italian-American women experienced shifts in their identities. Where most had been confined to traditional roles, leaving the wage-earning to men, the 1930s marked the first time that these women acted as sole or primary breadwinners in their families. The extensive oral history of Joan Festa Staffaroni, native of Carbondale, lays the foundation for this research. The presentation will show that wage-earning – for Joan, her sisters, and many others in this context – created conditions in which a woman could claim personal and political space in strategic ways. Emma Staffaroni is working on her M.A. in Women’s History from Sarah Lawrence College. She earned her B.A. from Boston College in English, Education, and Women’s Studies. 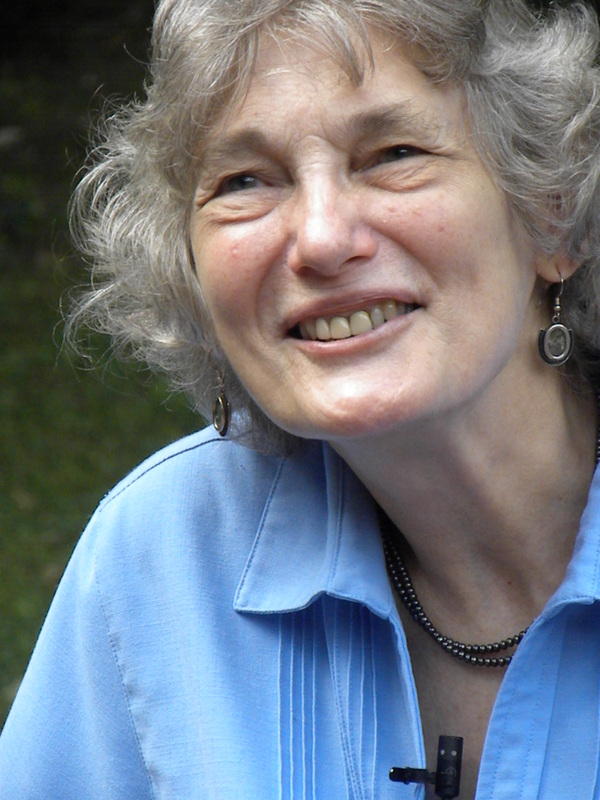 She is the 2012 recipient of the Gerda Lerner Prize in Women’s History. This panel will be moderated by Mallory Craig-Karim of Sarah Lawrence College. Women on both sides of the Atlantic were members of the first peace societies and activists in the movements for peace, beginning in the second decade of the nineteenth century. While they were kept in the general membership, rather than in leadership positions, women raised a significant portion of the finances which funded the movement and hundreds of women voiced their varied opinions on peace issues and specific events through publication of books, pamphlets, essays, stories, poems, and hymns. This paper will outline the types of peace activism in which women on both sides of the Atlantic participated throughout the century before the advent of the modern peace movement at the beginning of World War I.
Habiba Boumlik is presenting a paper on a woman peace activist from Tunisia named Amira Yahyaoui. Yahyaoui has been very active since the early days of the Arab Spring. The paper will be based on sources written in Arabic, French, and English. Her research will trace Amira’s trajectory and active presence on the web. of both global feminisms and women’s activism. This panel will be moderated by Dr. Kathryn Hearst of Sarah Lawrence College. finds, in an era where citizen journalists have a great latitude to craft their own brand, that Kelly and CODEPINK both perpetuate maternalism to justify female participation in international debates about war and militarism while at the same time they utilize post-modernist and feminist critiques of international relations in their criticism of U.S. economic sanctions and drone warfare in Iraq, Afghanistan, and Pakistan. Amy Schneidhorst received her Ph.D. in History with a concentration in Gender and Women’s studies from the University of Illinois at Chicago. She holds an MA in Peace Studies from the University of Bradford, England, has completed M. Ed. coursework at University of Illinois at Chicago, and holds a BA in Art History from the University of Illinois at Urbana-Champaign. Her most recent publication, from which she draws material for this presentation, is Building a Just and Secure World: Popular Front Women’s Struggle for Peace and Justice in Chicago during the 1960s. movement in the United States opposed to a substantial wave of education “reformers” interested in privatizing public education. These reformers promote the fairly radical belief that public education – an institution widely regarded as a cornerstone of American democracy – has failed. Using the language of choice, competition, accountability, and data-driven decision-making, they argue that public education ought to be subjected to the business techniques of market capitalism. Ironically, those who promote these corporate-style reforms and privatization plans do so in the name of civil rights, equity, and racial justice. Yet privatization efforts of public education have actually harmed our poorest students. To understand how and why local communities are rejecting these corporate-style reforms, this presentation takes Pittsburgh, Pennsylvania as a case study, situating the struggle for public education in historical and political context. continue to organize and expand on the campaign, and to use it as a springboard for activism. Faculty on other campuses are using the campaign as the basis for lesson plans in their classrooms. I hope to use our experience to open up a dialogue on how these shifts affect the powerful connections between feminist pedagogy, civic activism, and what we might call public scholarship. Rachel F. Seidman received her B.A. in History and Classics from Oberlin college, and her Ph.D. in U.S. History from Yale University. She is the Associate director of the Southern Oral History Program at the Center for the Study of the American South, University of North Carolina Chapel-Hill. Her most recent publication is “After Todd Akin, Why Women – And Men – Still Need Feminism” for The Christian Science Monitor.